Welcome to the second installment of my Kraft cardstock series. This pink one could almost be called a one-layer card. I really like the stamped layered effect which gives some depth and interest. I used all of my ink choices on this card: distress, pigment and archival. That way all of my ink pads would not be jealous…The pearly finish of the pink cardstock contrasts nicely with the matte Kraft cardstock. Text: Tim Holtz French Market; background stamp: Tim Holtz Multimedia; Butterfly: Inkadinkadoo Mindscapes. 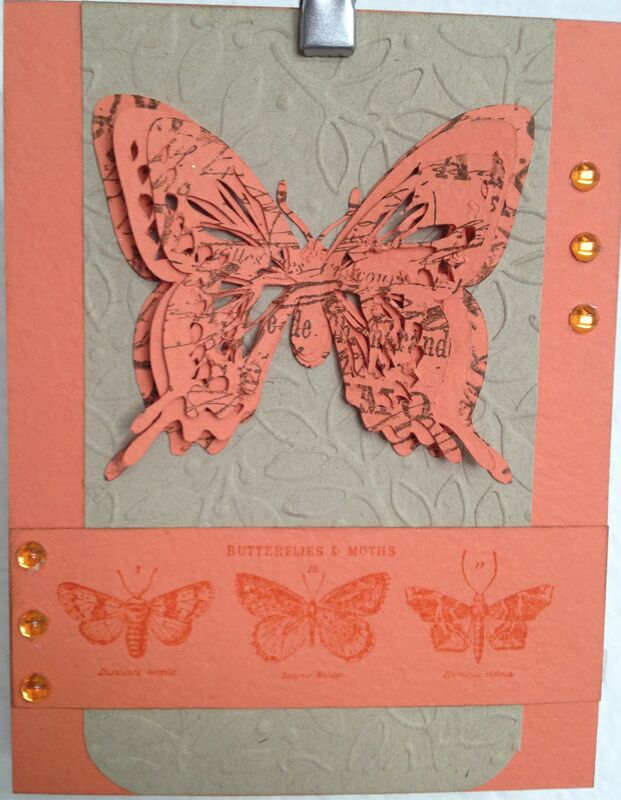 For the big butterfly on this card I used my Silhouette and cut a butterfly pattern 3 times, with each cut slightly smaller than the last. 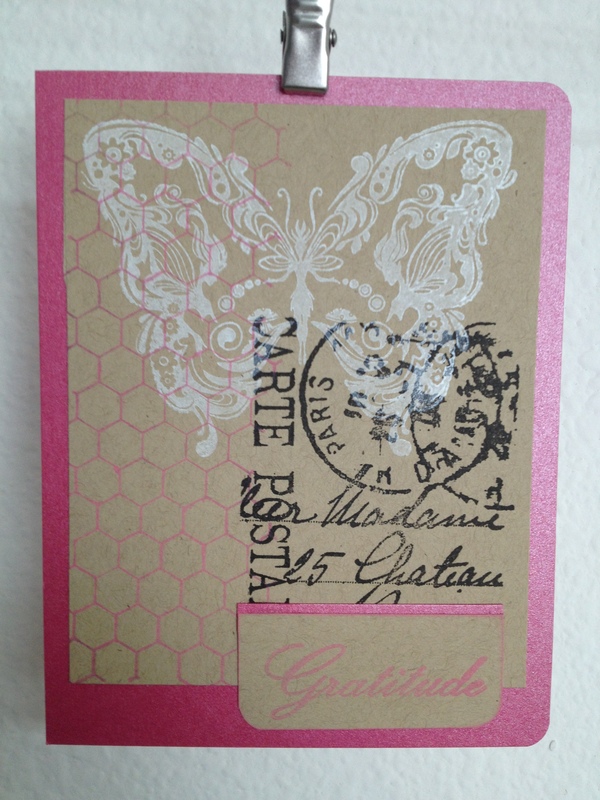 I stamped the largest and smallest ones with Tim Holtz’ Papillon stamp then glued them all together on the bodies only. I used the same stamp set for the 3 small butterflies on the bottom. The Kraft background was embossed with a new folder I just got called “Cindi Loo”. Now I ask you, what could be more fun than using a great folder with a really fun name? Five more cards to go! See you next week, and may all your butterflies be on your cards not your stomach.